So what should we be donning on our glorious bods this spring? I know, we’re busy mums, we don’t have much (any) time to research the latest looks heading down the catwalk. But just because we are mums, it doesn’t mean we can’t look good, right? Personally, I really don’t want to lose my fashion mojo just because I’m a mum. 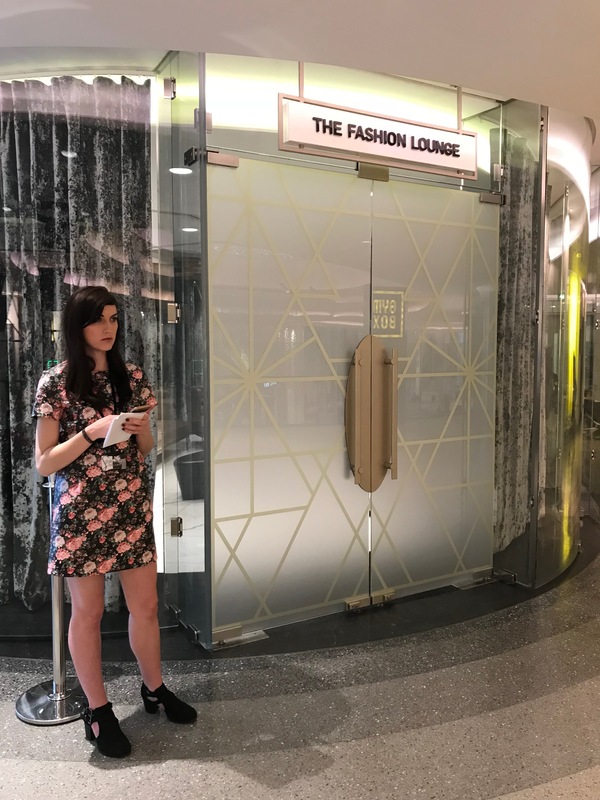 Thank goodness the wonderful Style Doctors invited me to their Spring Styling event at the very swish Fashion Lounge at Westfield London. The great thing about a Style Doctors styling event is that they do all the hard work for you and share the key trends you need to know for the coming season (plus you get bubbles, biscuits and a fab goody bag). So what are the key trends for this spring? Here’s the lowdown according to Style Doctors Founder, Elin, and her brilliant team of stylists. Have you ever done double denim? This doesn’t have to be super matchy-matchy like Britney and Justin in 2001 at the AMAs (sob, I still miss those two as a couple!). It can be done more subtly. Try mixing different coloured denims or different shades of blue. Mixing dark denim with bright colours will break up the denim and add a pop of colour. A denim jacket goes with pretty much everything and is a great investment. Pop it over a dress and it instantly makes your whole outfit more casual, meaning you may get more than one wear out of that dress you bought for a wedding. If you’re feeling brave, Style Doctors suggested trying white jeans. I don’t know about you, but white jeans scare me. I think they look great on models posing on the beach but as a mum, I just feel like white trousers are out of the question! But, perhaps if you’re out on a child-free date or weekend away, you could give these a go. Eek. I know, I feel the same, but according to Style Doctors, mixing prints is perfectly okay. Think about the size of the prints, the colours, and add in a neutral classic if it’s all getting a bit much! Mixing prints is all about having a bit of fun and expressing your personality, so just go with your instinct and enjoy. Yes! My favourite colour is the colour of the season. There are no rules either – pastel pink, shocking pink or something in between. Anything goes. Considering I’m a big pink fan, I don’t actually have that much pink in my wardrobe. Great excuse to get shopping! If you’re not a fan of all-over pink, try incorporating a pop of pink somewhere in your outfit. This classic style is everywhere and is the coat of the season. I actually recently took my old trench to a charity shop – oops! Not sure I can go and ask for it back now. Sad times. Trench coats don’t have to be a neutral colour – according to Style Doctors, a mustard trench is actually really versatile and can be paired with most colours. Mustard paired with grey or navy are good combinations to try. A nifty trick shared by Elin is to tie the belt behind you, cleverly turning your coat into a dress. So those were the key trends for spring according to the fantastic Style Doctors stylists. Do you have any other spring styling tips to share? We’d love to hear what’s going to be in your wardrobe this season. For more information on Style Doctors styling events, please check out their website.